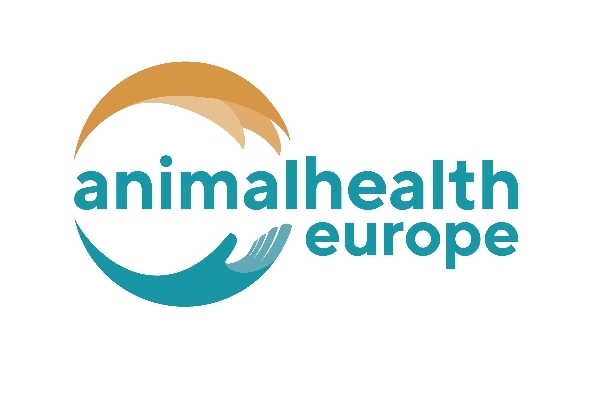 Roxane Feller is the secretary-general of AnimalhealthEurope, which represents the animal medicines industry in Europe. 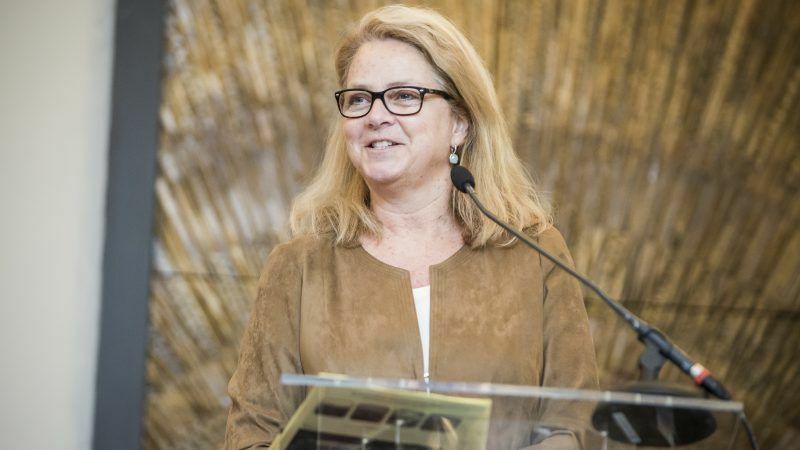 She spoke to EURACTIV’s Sarantis Michalopoulos in a written interview ahead of the “Innovation in animal health & sustainable livestock production in Europe” event on 7 June in Brussels. Increasing awareness of data usage and providing incentives for sharing certain information could help improve monitoring of endemic diseases. Animal vaccination alone will not lead to a more sustainable EU livestock production- other health management solutions also needed. Innovations for improving animal health have positive impacts on various sustainability challenges experienced by farmers. The general public needs to better understand that “healthy animals mean healthy people”. Antibiotic-resistant infections in animals are not being reported at such alarming rates as seen in human health. What is the state-of-play with animal diseases in Europe? Do you notice a growing trend? Have new diseases emerged in recent years? There is not necessarily a growing trend when it comes to animal diseases in Europe. It is also important to differentiate between genuinely ‘new’ diseases (for example Schmallenberg in sheep and cattle which had never previously been identified), and diseases which currently exist outside Europe but are now appearing (emerging) in Europe (with bluetongue, African swine fever and lumpy skin disease currently being the most pressing examples). Many of the emerging diseases would appear to have a vector-borne aspect or are linked with wildlife, or increased mobility of people and animals. Another example is the potential for worldwide spread of viruses by wild birds increasing the risk of direct or indirect introduction of avian influenza into poultry or captive bird holdings. The latest avian influenza subtype A H5N8 reported in poultry holdings in 17 Member States from late October 2016 to early February 2017, was the largest epidemic of this virus in the EU so far, with a devastating effect on poultry farmers across Europe. Previously, damaging diseases like classical swine fever and foot-and-mouth disease (FMD) have been stamped out in the EU, but reintroduction can always occur as animal diseases do not recognise geographical borders. This is why good animal health management through the wide availability of preventive solutions, like vaccines, or diagnostics for early detection, and therapeutic treatments are of high importance for Europe’s farming community as well as its vets and pet owners of course. Strict EU and national control measures with strong biosecurity guidelines are necessary, alongside close monitoring of disease occurrence. Are you satisfied with the current monitoring systems on animal diseases? Here in Europe, we have well-established systems to monitor the evolution of certain diseases. These include those termed as ‘zoonotic diseases’ as they can have an impact on public health. They cover foodborne illnesses like salmonella, listeria and Campylobacter, as well as diseases like rabies that can come from infected wildlife or dogs. Other animal diseases may be considered notifiable under national legislation or international agreements. Monitoring systems can always be improved, however, especially for diseases linked to climate change – vector-borne or wildlife transmitted. For many endemic diseases that do not have a direct impact on human health, such as diseases that can occur during livestock production, like respiratory diseases, mastitis, or parasitic infections, there is often no monitoring in place. Or if monitoring exists, data is often scattered across various points in the food chain: the livestock producer, the contract farmer, the national authority, etc. With the ‘digital revolution’ in agriculture, it is certainly possible to improve data collection, but there is a hesitancy in regard to developing fully integrated animal health surveillance systems due to lack of data sharing acceptance at the farm level. Increasing awareness of data usage and providing incentives for sharing certain information could help to improve monitoring of endemic diseases. It is also important to review the accessibility and usability of monitoring systems. The World Animal Health Information System (WAHIS) for example, a long-established global platform for OIE (World Animal Health Organisation) member countries, is currently being updated with the aim of making it much easier to consult. Animal vaccination is linked to food production and environment and also has an economic impact. How can we ensure that animal vaccination leads to a sustainable EU agriculture? I would first have to say that animal vaccination alone will not lead to a more sustainable EU livestock production. Vaccination, along with other health management solutions, good nutrition, breeding techniques and appropriate biosecurity measures together in an integrated approach will most certainly each play a part in ensuring more sustainable future livestock farming in Europe. But focusing on vaccination, in particular, we need only look to Europe’s past and current experiences to see the value of vaccination and other prevention measures. Taking Europe’s pig farming as an example, porcine circovirus disease is recognised as one of the most economically damaging pig diseases in the world. Prior to the development of a vaccine for the PCV2 virus type, swine farms morbidity rates were as high as 50–60% and many of affected piglets died. During the epidemic in the 1990s before vaccination existed, the cost of the disease for the EU was conservatively estimated to be between €562 and €900 million per year. Innovations for improving animal health have positive impacts on various sustainability challenges experienced by farmers, like resource efficiency, their carbon footprint, and animal welfare. The OIE estimates that 20% of global food production is lost due to diseases in farmed animals. While this figure may be slightly lower in Europe, it is clear that Europe’s decision-makers need to forge more innovation-driven agri-food policies to ensure that agriculture’s input industries, such as animal medicines, also thrive. If we are thriving, then we can continue to equip Europe’s farming community with the necessary tools to become more sustainable. The debate about an innovation-driven approach when it comes to medicines, especially for humans, has taken centre stage in Brussels. What is the state of play when it comes to animal medicines in the current policy framework? With the introduction of the 2004 Directive on animal medicines investment in new product development quite significantly decreased from an industry average of nearly 10% of turnover to 7.8% of turnover. Now in the final stages of review – due to be completed before the summer break – the new ‘EU Regulation for veterinary medicinal products’ promises to boost innovation in animal health. We are hopeful that this new legislation will harmonise processes for registering and authorising medicines, relieve some of the administrative burdens and reward investment in innovation through, for example, improved protection periods for technical documentation. Peripheral policies can of course impact on advances in our industry, by putting in place barriers to innovation. Socio-political debates involving certain products or practices and increasingly risk-averse thinking means that public opinion comes sometimes trump science, leading to restrictions or rule-making that can be damaging to innovation. How about antibiotic resistance in animals? Do you face a similar “alarming” situation like in humans? Has your industry taken any initiative to tackle this phenomenon? What do you expect from EU farmers? Antibiotic-resistant infections in animals are not being reported at such alarming rates as seen in human health, and the recent ‘EU summary report on antimicrobial resistance in zoonotic and indicator bacteria from humans, animals and food’ reported very low levels of resistance to some critically important antibiotics detected in animals. The animal health industry in Europe acknowledges its responsibility and remains firmly committed to playing an active role in addressing this One Health challenge of antibiotic resistance. Antibiotics will always be an important resource for vets to manage disease in animals, and our commitment to safeguarding their efficacy is unwavering. For the past two decades, the animal medicines industry in Europe has been proactively leading the charge against the challenge of resistance development on a number of different levels to try to preserve the efficacy of these precious tools. Actions are wide-ranging such as awareness-raising amongst farmers and vets, and promoting responsible use of antibiotics in compliance with the correct dosage and treatment length; promoting on-farm disease prevention practices; encouraging the use of diagnostics; contributing to data collection regarding use and resistance development; and providing input into policy tools; etc. The EU farmers association joined with the animal medicines industry and the vets over ten years ago under the EPRUMA platform – European Platform for the Responsible Use of Medicines in Animals – to agree to a set of Responsible Use principles when it comes to managing animal health at the farm level. I think what we expect from EU farmers is to abide by these principles and, working in cooperation with their vets, to only use antibiotics as little as possible, as much as necessary. You say that “healthy animals mean healthy people”. Do you believe this is well understood by the public opinion and policymakers? We are seeing more and more of an understanding amongst policymakers of the impacts of animal health on human health. The 2016 EU Regulation on transmissible animal diseases, for example, was a clear recognition of the important role animal health plays in Europe, as it highlighted the wider effects of monitoring and controlling animal disease not only being a contributing factor to good animal welfare and sustainable agriculture, but also to public health. And the 2017 EU One Health Action Plan against Antimicrobial Resistance encouraged joint action, recognising the interdependence of animal, human and environmental health. When it comes to the general public, the levels are understanding are probably lower. Our citizens survey on perceptions of animal medicines, carried out in 2016, demonstrates this quite well. More than 40% of those surveyed didn’t know that the vaccination of pets helps to prevent diseases being transferred to people. And with regard to food safety, nearly three-quarters of those surveyed (72%) didn’t know that medicines used in farming can help to make food safer.